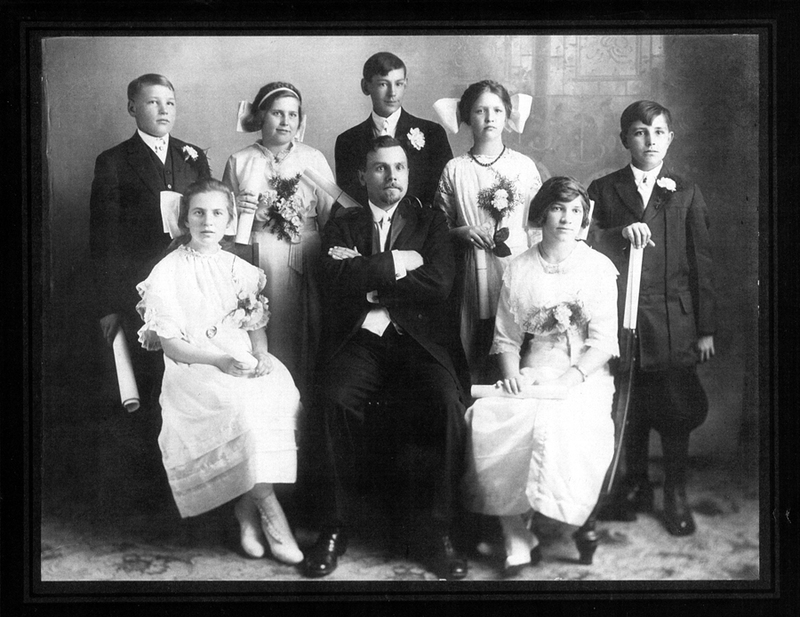 The Second German Congregational Church Confirmation Class of April 12, 1914. This was the first confirmation class from this church. Front row from left to right: ?, Rev. Heinrich Hagelganz, ? Back row from left to right: ?, ?, ?, ?, ? Not identified: Barbara Deines, Margaret Gebel, Alexander Holzer, Christina Knippel, Conrad Propp, Carrie Ross, Henry Weitzel.